Officers of the General Directorate of Road Traffic (DGT) carry out inspections related to new regulations that entered into force on May 20 this year. The rules are very complicated and the carriers find it difficult to follow them. A few hundred fines have already been issued, although the services were to abstain from controlling drivers until the DGT has issued executive instructions that specify the liability of carriers and shippers for load securing. The services in Spain conduct inspections and issue fines under Royal Decree 563/2017, which regulates the rules of roadside commercial vehicle control in the field of cargo securing. Despite earlier DGT declarations, until the executive instructions were published to the decree, the carriers would not be punished. However, the officers issued a total of 258 fines – informs the Spanish federation transport associations, Fenadismer. Importantly, they did not verify who was responsible for fixing the load. The decree is very complicated and caused many uncertainties among the carriers due to difficulties with the practical application of its provisions” – reports Fenadismer. According to the new regulations, DGT is to control whether the load has been properly secured also in emergency situations, or when going uphill. 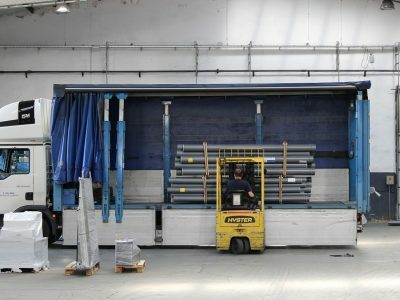 As a result, the officers will check if the load does not change position, and the pressure on the walls and the ground of the hold is minimal. The services use different verification methods using protractors, mobile strain gauges, loading calculators and stationary weighers. Implementing instructions 18/TV-103 to the aforementioned decree were issued by DGT on Tuesday, June 19. DGT underlines that the correct load securing in commercial vehicles is always a matter of special attention. Traffic regulations are very specific due to the consequences of the improper operation of this activity. The Directorate lists Spanish legal acts that regulate the securing of loads. „The amended test of Traffic Law, motor vehicle use and road safety” (specifically 12 article) approved by Royal Decree 6/2015 prohibits placing the load in a vehicle differently than specified in the regulations” – read the instructions. The General Road Traffic Regulation and the new Royal Decree 563/2017 regulate in detail the standards for securing the cargo in vehicles carrying road freight transport. In addition, with regard to the proper load securing, DGT refers to the content of Act 15/2009 of 11 November on contracts in road transport of goods containing general provisions to which the entities obliged to secure the cargo must comply. In the light of the above, it was found that, in principle, the shipper is responsible for the load securing, unless the parties have assumed that the carrier takes over the responsibility for doing so” – informs DGT in the instructions. 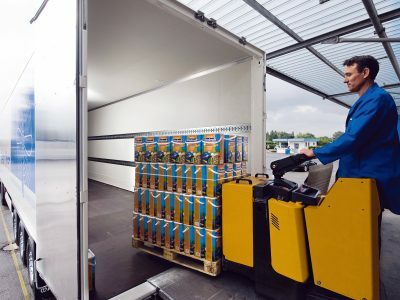 „Notwithstanding the foregoing, in the case of courier services, the carrier is responsible for the securing.” The same applies to similar services consisting in the delivery and receipt of parcels that can be loaded and unloaded without the use of machinery or other manned tools. 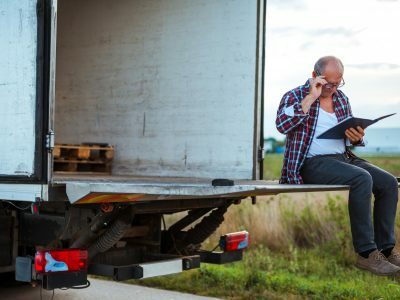 Thus, liability in the case of offenses related to the load securing is borne by the shipper, unless the transfer of this obligation to the carrier has been previously established (documentation of such arrangements is necessary). The carrier is responsible for this activity only in the case of courier services and the like. DGT also announced the issuance of a „Securing of load card” („Ficha de estiba”), on which the entity responsible for fixing will confirm the correct performance of this activity. It was supposed to appear with the Instruction, but the DGT has not published the document so far.